Nationwide Fast-Food and Hospitality Workers Strike—Call of the Precariat! 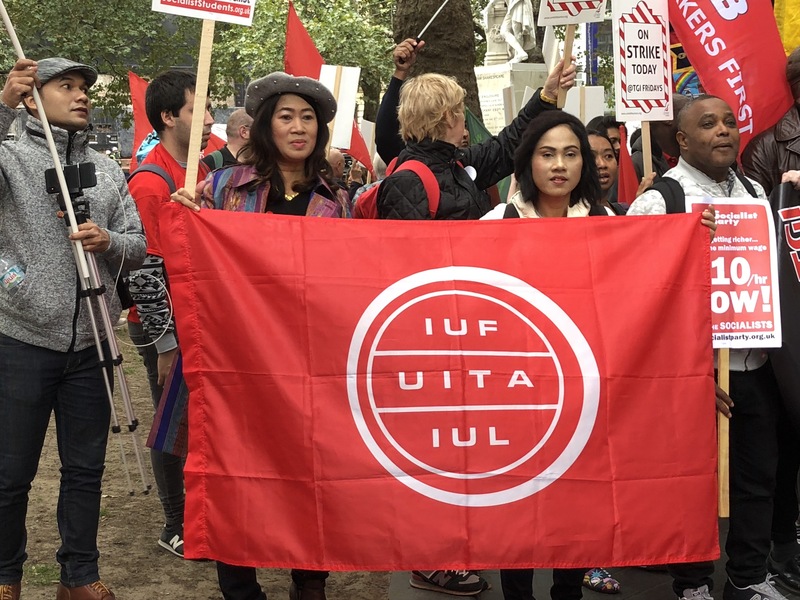 “If we don’t get it, shut it down!” was the defiant chant of fast food and hospitality workers at a rally held in Leicester Square, central London, on 4 October 2018. There has been pressure building up amongst fast food workers and hospitality staff since the major industrial action taken by McDonald’s staff that started in the US last year and which then spread to the UK. Over 250 people attended the London rally (including international supporters) as part of a nationwide action across Britain, including the cities of Brighton, Bristol, Cardiff, Glasgow, Manchester, Newcastle, Plymouth and Southampton. Leicester Square is a tourist-driven entertainment area in the centre of London and has in proximity cinemas and many restaurants, e.g., a MacDonald’s, TGI-Friday and a large Weatherspoon’s chain pub. It is also an area that attracts a lot of local non-unionised labour to the surrounding businesses, and it is rare that a rally of any kind, much less one around trade union rights, takes place there. Most of those taking action are quite young and working class, so these are not jobs in between college or university. Being from different parts of the globe, they have a shared experience of terrible working conditions. The feeling at the rally was very much an eagerness to fight and to win. It was inspiring to see so many young workers with fire in their bellies. Low pay in the industry is rife, and it does not just affect sections of workers deemed to be the most vulnerable. 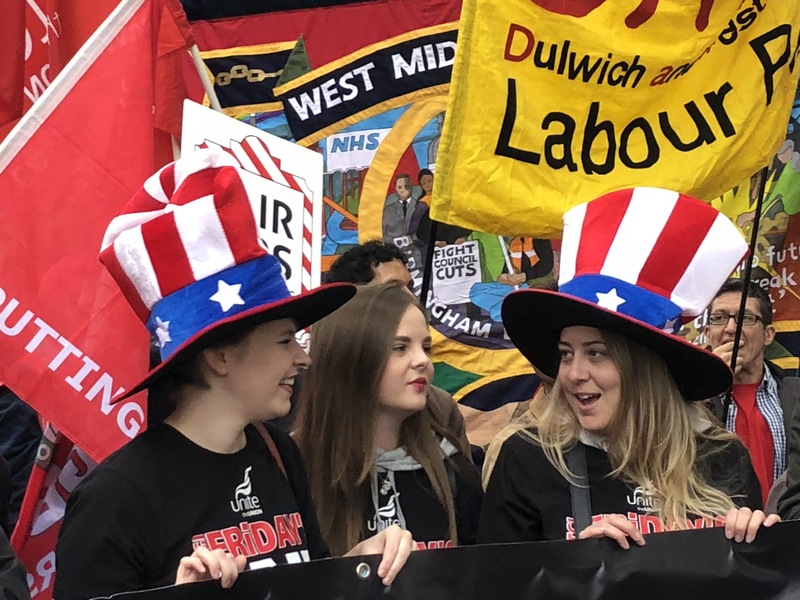 One example is the Birmingham care workers, who are striking against their Labour council’s plans to rob them of their jobs and gut the service. Striking traffic wardens from Camden (another London borough) also attended the rally in a show of solidarity. Francis O’Grady, head of the Trade Union Council (TUC) spoke at the rally pledging support, but not any sympathetic industrial action. Bakers, Food and Allied Workers Union (BFAWU) president Ian Hodson told the crowd: “No longer is it acceptable for workers in the sector to be oppressed or exploited. Employers are finding that workers are fighting back. In terms of speaking at the rally, the primary spots were given to international fast food and hospitality delegates from Thailand, USA, France and other countries. All of them described that despite how hard they work, that they just cannot earn enough to pay rent on somewhere decent, buy enough food, and so forth, while under pressure of speedups. In light of recent reports here in the UK of low industrial productivity but long hours, this will strike a chord with workers elsewhere. All of the speakers pointed to the fact that bosses had tried to divide the workforce, intimidate them, or in some cases they had caved in pretty quickly after only a few days of industrial action. The rally has to be seen within the context of what is regarded here in the UK as the “gig economy”. Their experiences have, in turn, gone towards radicalising a section of workers in the food and hospitality sector. For a long time, fast food workers and those in the hospitability sector were regarded as being “too difficult” to organise. It has been the success of smaller, independent unions such as United Voices of the World (UVW) and BFAWU that has forced the bigger ones, such as Unite, to change their organising strategies. 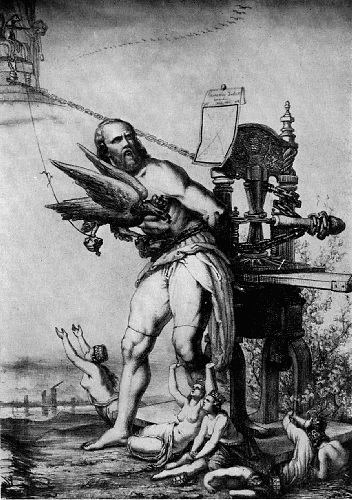 Being super-exploited does not necessarily lead to people becoming rebels against their onerous conditions. But self-organisation can be a liberating factor, as we have seen with the new union UVW: it means the dead hand of union bureaucracy is also less of an issue; for example, UVW are now directed by a non-hierarchical executive committee. It is becoming clear that what was regarded as the “precariat” has moved on from its original definition and is far from being a passive entity to which things just “happen”. The TUC, the umbrella organisation for UK trade unions, used official labour market data to estimate that 3.2m people are in some form of insecure work, with fewer rights and protections than traditional, permanent jobs provide. Sarah O’Connor, Business correspondent for the Financial Times (FT), wrote December 16, 2016, “One in 10 workers in Britain is in the precariat, according to an attempt by trade unions to quantify the extent of insecure work at the bottom of the labour market”. Since the near-collapse of the world economy in 2008, attacks on the working class have been unrelenting on both sides of the Atlantic. Yet this did not lead in turn to either an upsurge in union membership or industrial action—until now, when it seems that groups of “precariat” workers are emerging who are up for the fight. Starting in late 2016, there has been an upsurge in industrial action by fast-food workers and those who work in the hospitality industry in the USA (maids, waiters, waitresses, bell-hops, janitors, etc.). But it was the great McDonald’s strike of 2017 in the US that seems to have inspired momentum and imagination over here, with at least two strikes. More actions by workers who deal in fast-food delivery or preparation followed, including Byron’s, Uber Eats, Deliveroo, TGI-Friday, Wetherspoons pub chains and others. The number of days lost to industrial action in 2017 in the UK was historically low—there were 276,000 working days lost due to labour disputes, the sixth lowest annual total since records began in 1891, and only 33,000 workers were involved in them, the lowest figure since records began in 1893. But where they did occur, it was in sections of the workforce not previously known for being militant, a case in point being the industrial action by the university lecturers in 2017-18 that saw not only their membership increase, but also threatened the union bureaucracy. One of the questions that need to be looked at for the near future is the source of the current militancy; more data, both anecdotal and statistical, is needed in order to get a more rounded view. But it is clear so far that those who are labelled the “precariate” see their exploitation as linked to—not separate from—other workers. No Borders: A Movement in the Process of Becoming? Great report from Walt which highlights that irrespective of the jobs workers do and in what conditions all workers are experiencing the attacks by a capitalist class that has globally grown more arrogant in what they believe is the passivity of workers. What is encouraging is that these recent strikes show workers as active participants in their own actions and not as passive recipients either of Labour Party or trade union careerists. Also lets not forget that at the start of the twentieth century retail workers were seen as being impossible to organise and the workers in this industry proved their critics wrong. The lesson is that capitalism will force workers into struggle sometimes against the wishes of the workers themselves. 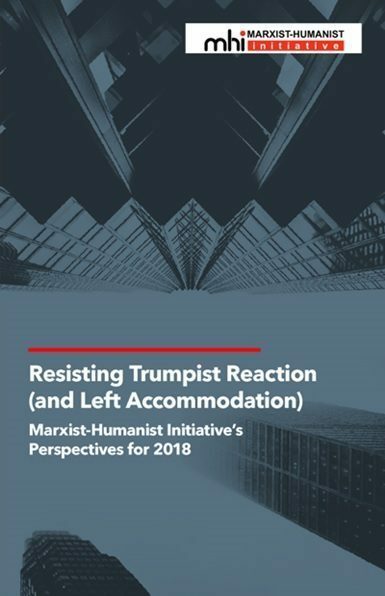 What the role of marxists should be is to give a theoretical perspective that goes beyond reforms and into one where workers open up the future free of all forms of exploitation and oppression. Hi Dave, thanks for the kind words and yes, until recently, the main unions looked down their noses at organising workers from minority groups, proof that bigger is not always better, union wise. Many current disputes, in the UK at least, tend to be very sectional as opposed to national and so limited in character. Even when it goes national, however, the union bureaucracy is determined to keep as tight a hold as possible.